LOL, it was way too big for me (I'm a small guy) and I preferred the HLS sticker anyway. I might be wearing mine now. Refrain from judgment. I'm wearing mine. Feels great. I can't wait till ASW. As an East Coaster, I don't know how to feel about actually going until I'm there. I haven't been to the West Coast since I was a little kid. 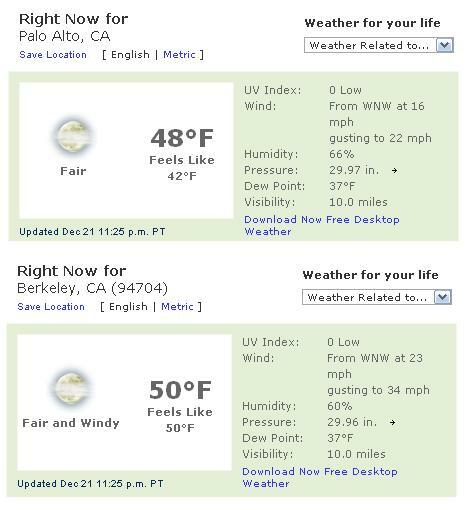 my ideal choice: berkeley (the city), palo alto (the weather), and harvard (campus). why can't we have it all?? P.S. anyone else thinking about going to both Berkeley and Stanford's ASWs? Not sure they'll refund the airfare if I don't fly east coast to west coast twice, two weekends back to back. Maybe they'll make an exception? lawyering wrote: my ideal choice: berkeley (the city), palo alto (the weather), and harvard (campus). why can't we have it all?? lawyering wrote: P.S. anyone else thinking about going to both Berkeley and Stanford's ASWs? Not sure they'll refund the airfare if I don't fly east coast to west coast twice, two weekends back to back. Maybe they'll make an exception? I'll be going to both, but I live in the Bay Area so it'll be pretty easy for me. Have a favorite as of now? Last edited by jocelyne on Mon Dec 28, 2009 6:30 pm, edited 1 time in total. Yes, let's revise the formula. I would have applied ED to that amalgam. Stanford was my No. 1 going in, so definitely SLS. I think the only thing that could change the game for me at this point would be a Yale acceptance or serious $$$ at Chicago (both of which are highly unlikely and neither of which, in the end, would sway me from SLS I don't think). Crackberry - why would neither of those sway you? What is it about SLS or Stanford in general? I'm going to both (work schedule permitting). I'm flying from Denver, though, so the trip isn't particularly bad. Campus buildings Harvard? It's okay, but I'm not that into all that brick. I think Gothic is always better, so I would put Yale, Michigan, and (I believe) Duke in front of Harvard in the building department. Duke is a very attractive building, but nothing near gothic. Definitely soft tones, integrated into the landscape. I was impressed by the building (sadly, my favorite thing about Duke when I visited), but I'd take Langdell Hall over Duke's building anytime, appearance-wise. No love for the brutalist SLS building? FWIW, the law library (where you'll spend a lot of time) is actually very nice, and way less crowded than that of other schools. The new building also looks to be quite nice. And some would argue that architecture matters less than palm trees. Is anyone else considering a joint degree? With a 3-year MA/JD, for example, does anyone know how that impacts your schedule? Kretzy wrote: Is anyone else considering a joint degree? With a 3-year MA/JD, for example, does anyone know how that impacts your schedule? I am definitely considering a joint JD/MA in international policy studies. I know many of the professors who teach IPS and really like them so it seems like an awesome option. Also, Kretzy, I thought you lived in CT? How are you flying from Denver to California? ndnlawdc wrote: No love for the brutalist SLS building? Also, Stanford's gym and athletic facilities in general are about 10 million times better than its peers', for what that's worth. jsoell wrote: Crackberry - why would neither of those sway you? What is it about SLS or Stanford in general? I want to live/work in California, I love Stanford's weather and quality of life is more important to me than it seems to be to most people on TLS. All these things point to Stanford over Yale or Chicago (or anywhere else for that matter). Yeah, I'm thinking JD/MA in History. Looks like I need to take the GRE. And Crackberry: I'm actually moving back to Colorado in 2 weeks, so I'll be flying out from there when I visit. After the LSAT, the GRE is like a 6th grade math test. @Kretzy: The History Department is terrific (I'm currently majoring in it), and the Masters candidates are a fascinating group. PM me if you want details.